Everybody knows that announcers and TV personalities hate your team. They just do. It’s a scientific fact. A perfect example of this theorem in action is Mark May and Ohio State. The ESPN college football analyst has been a thorn in the side of Ohio State football fans for a while now. He’s inspired Facebook groups for Ohio State fans to revel in his wrongness. He’s inspired tweets about how subjective he seems to be when it comes to the Buckeyes. His ongoing OSU disdain has even caught our eye over the years. To be fair, all of this is well-warranted. May is known to fire shots at Ohio State whether it’s on Twitter or Facebook or on TV. So when May predicted last weekend that Nebraska would defeat Ohio State, everyone went on high alert. By the time OSU completed their 62-3 thrashing of the Huskers, it was fait accompli. 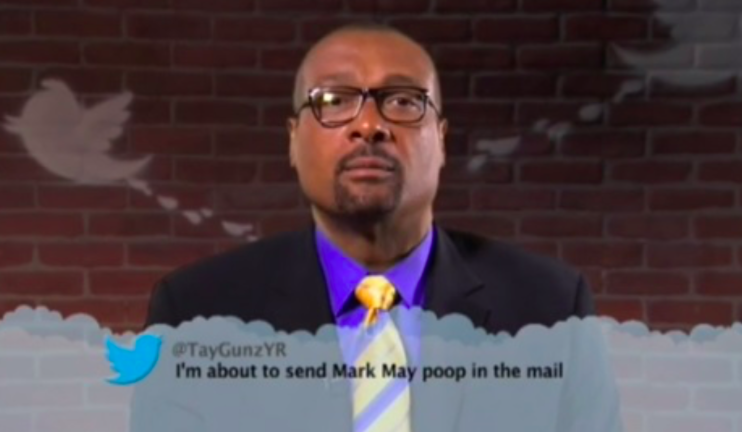 What does Mark May gotta say now? The hatred is so strong that even other ESPN personalities are forced to deal with it. Todd McShay appeared on ESPN Radio’s Russillo & Kanell to discuss who he thinks the most “volatile” fanbases in college football are. His top five included Clemson, Florida State, Notre Dame, West Virginia, and Ohio State in the fifth spot. He then shared an anecdote about what it’s like to have to take May’s heat in person since the studio host never will.